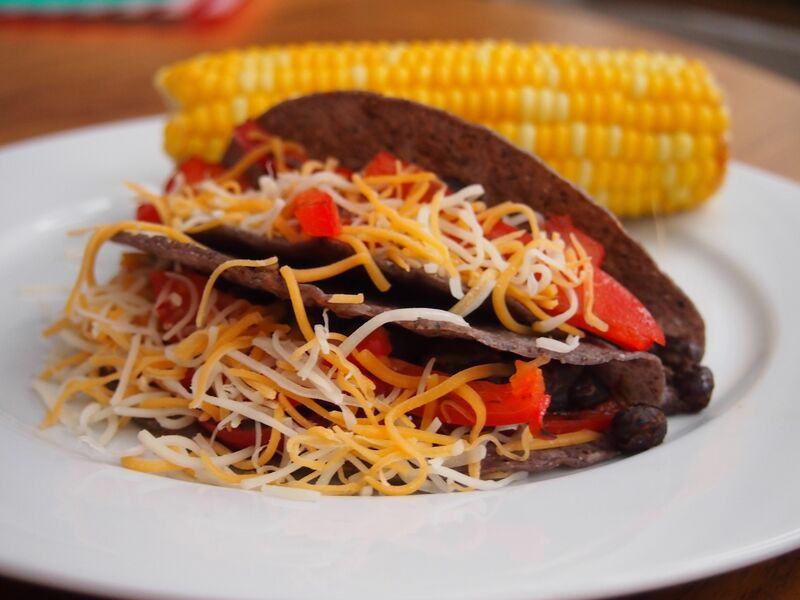 There’s not a lot of culinary genius behind this idea for Red Bell Pepper and Black Bean Tacos. Except that was easy. Tasted good. Surya loved them. Healthy. These Red Bell Pepper and Black Bean Tacos are genius! 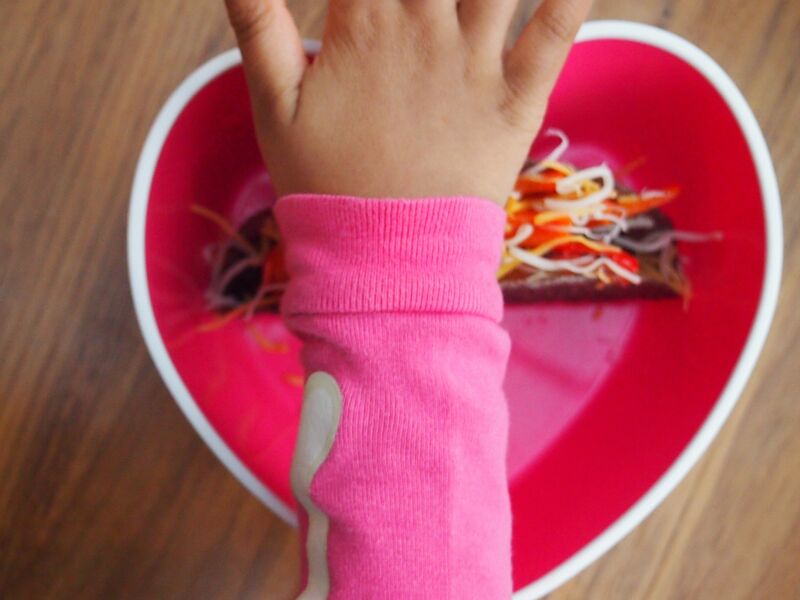 They are easy, delicious, healthy and (maybe) will even win over your toddler. Hard shelled tacos are sanctioned snacking in Surya’s mind. It’s the crunch factor of the hard shell that does it for her. So, I’ve been squeezing healthy and tasty meals between a shell for her to chow down on. We’re all winning. Except Surya is apparently not so into my food photography. This Sunday’s variety included red bell peppers and black beans but we also did a “build your own” taco bar the other weekend with beans, avocado and onions. I’m sure there are a million and one variations. And we haven’t contemplated a desi version yet (though now I’m thinking of these Indian burritos). Saute the red bell pepper strips until soft and slightly charred in spots. Heat the beans in a small sauce pan. Add chili seasoning to taste. Warm the taco shells in the oven on 350 degrees for 3-4 minutes. Layer beans, then bell pepper strips then cheese into taco shell. Top with sour cream,salsa and fresh jalapeÃ±os as you wish. Love this idea! And “sanctioned snacking” — ha! I love your histories and recipes. Always fascinating and so well done.